Animals, humans faithful companions, pets and best friends. Not only do they bring joy into our lives but are magnificent creatures. That’s why this month we want you to capture the beauty of your favourite animals or pets in your projects. 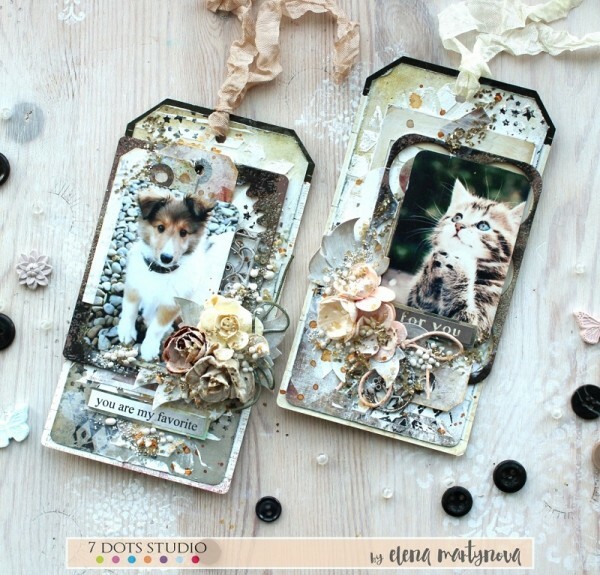 So, get busy scrapping and share with us your animal friends. Hello everyone! 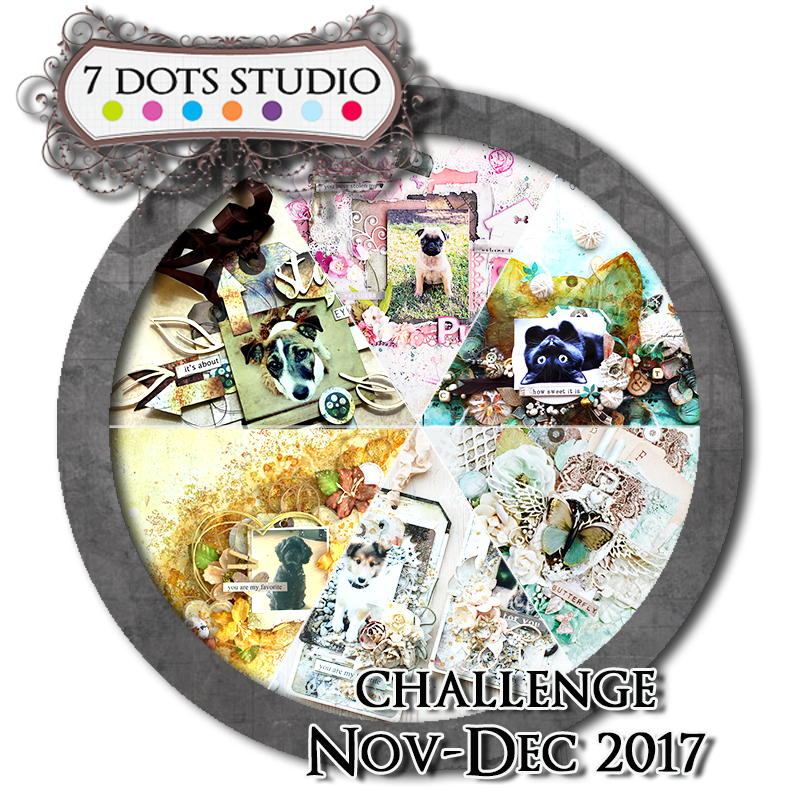 This month we have such a good challenge which gives so many possibilities to create! I was inspired by this photo and it`s colour pallet. Green and red – such a beautiful combo! I was using Dreamscapes paper collection and tags. My main paper sheet for background is Chestnuts from Yuletide paper collection and word stickers from Fortune-teller. Wish you a lot of inspiration, Nadya. For our cute challenge, the animals were chosen by my daughter. She is very fond of foxes and cats. And it’s a layout for her! I really wanted to do something sweet and natural. 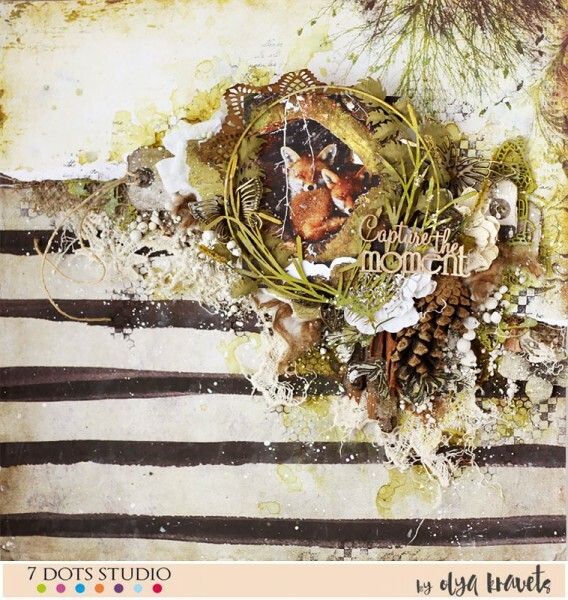 I like to use the “Dreamscapes” collection for forest projects. It always inspires me! I hope you also love this collection, like me! On this challenge I took a photograph of the cat. There are two cats in my house who like to turn the house upside down. And on the page I collected their favourite toys: a bell, coils of wool and paper. They just adore paper! Our sweet cats. 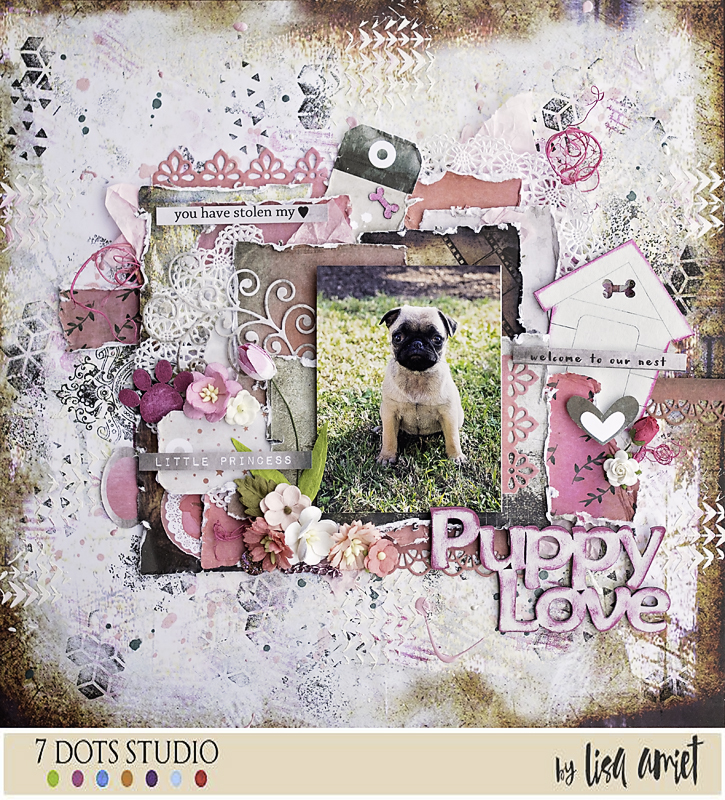 This layout is about our new pug puppy Lucy, who has recently joined our family. She is so tiny and cute and is our little princess. She will be a very pampered pup. 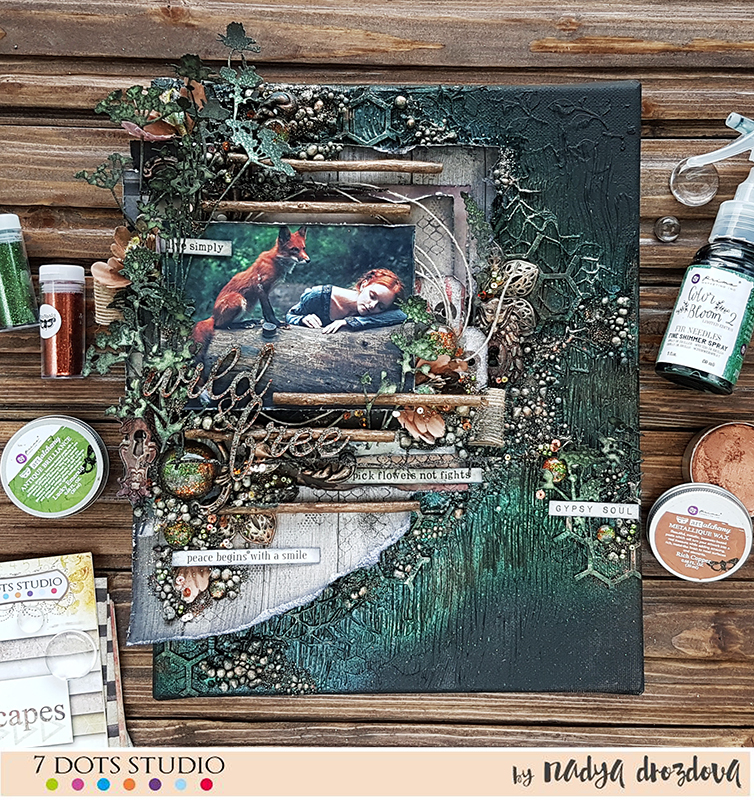 I have used a mix of the Hazy Days and Homegrown collections for this layout. I have also used some of the Dreamscapes stamps. 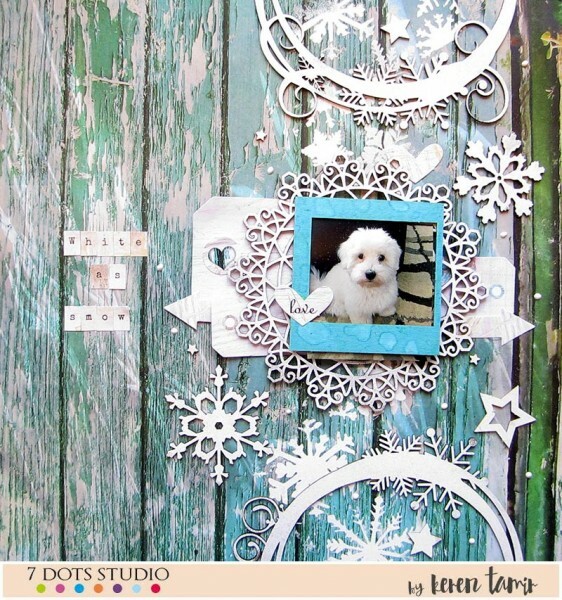 I created a layout featuring our cute dog Cookie. 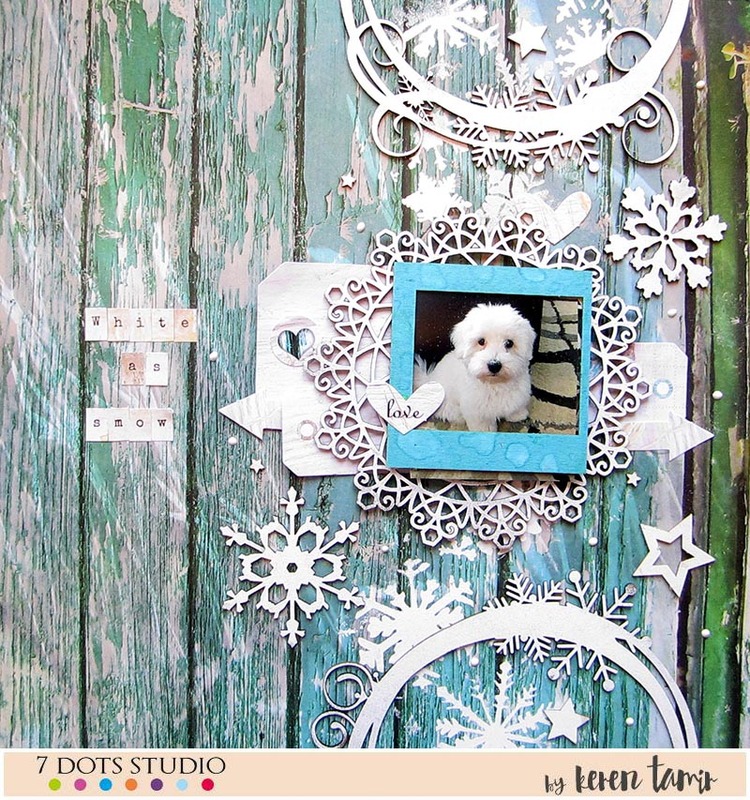 He is not only cute but his fur is white as snow so I thought it would be perfect to create a layout full of snowflakes that match his fur. 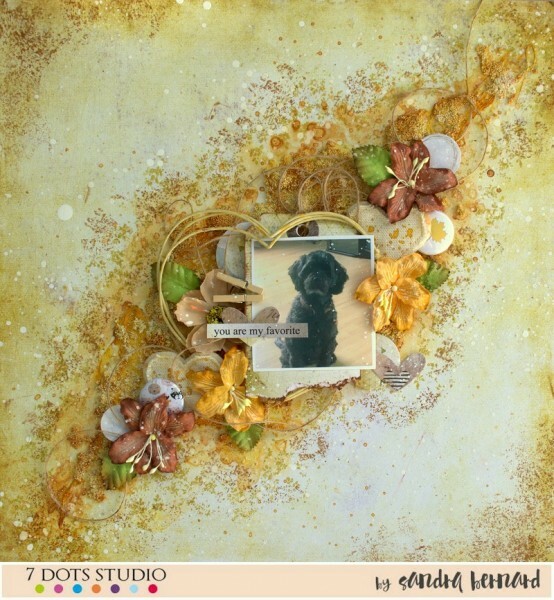 I used the Verano Azul collection for the background as well as some of the tags. I framed the photo in the Hazy days chipboard frame and used some of the chipboard stars to decorate. When I heard about the theme of this challenge, I immediately thought about Butterflies! I think butterflies are the most gracious animal, aren’t they? So I decided to create a special mixed media canvas for this challenge. 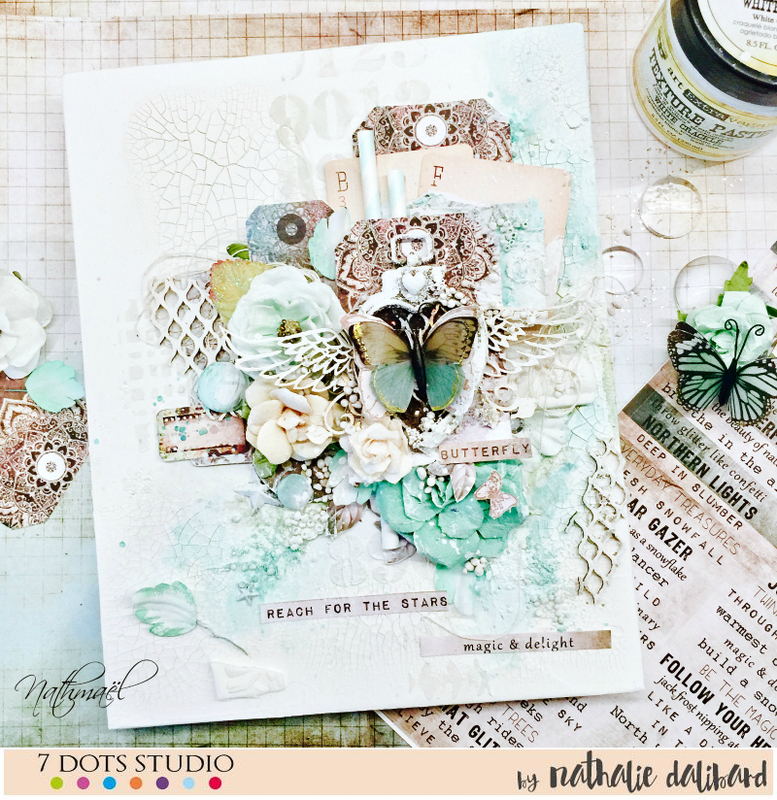 I used crackle paint and modeling paste through 7 DOTS STUDIO stencil for the background and added different layers with Fortune-teller‘s tags, Die-cuts and stickers from different collections. The words stickers are from the new collection Nothern Lights. My favourite animal is my dog, Mister Cookie (Monsieur Biscuit in French). It is my most faithful companion. 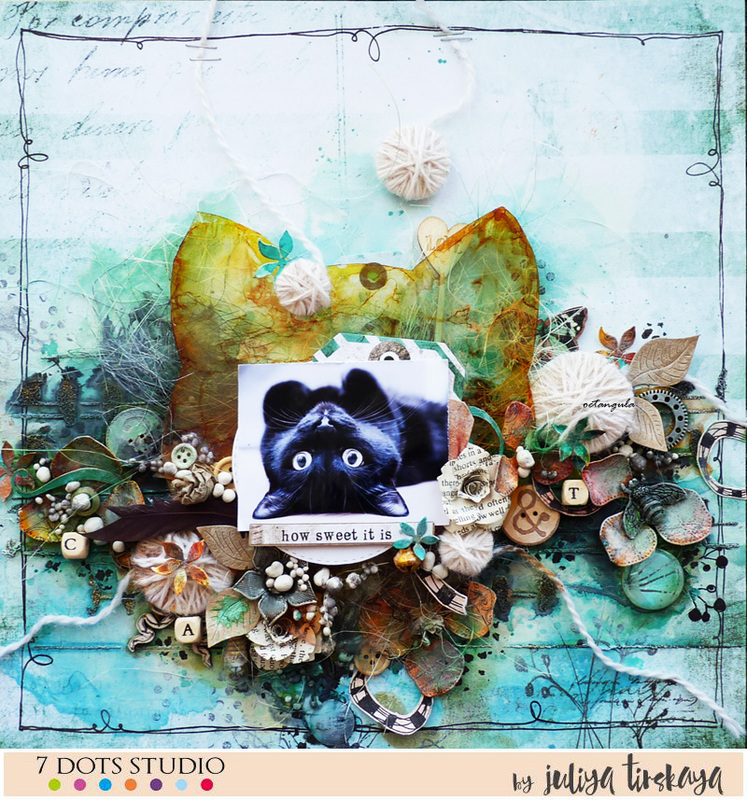 I use the Dreamscapes collection to make my layout. This collection is so versatile that you can use it for a very soft creation as much as something more striking. And you? what is your favourite animal? 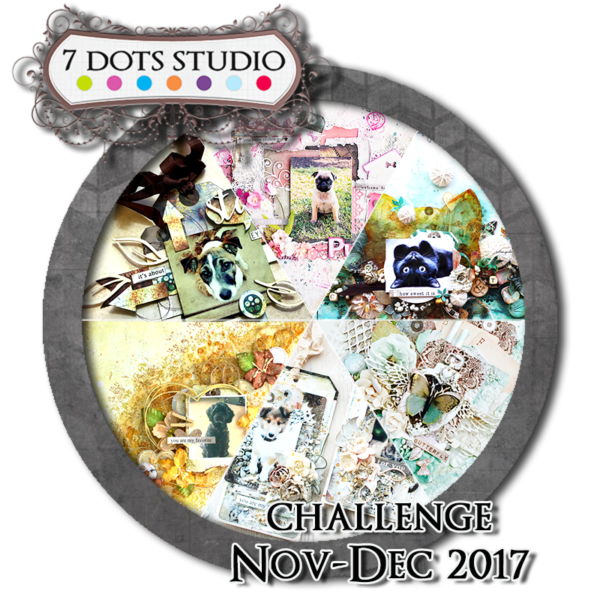 Challenge is open till December, 19th midnight CET. We announce winners by the end of the December. 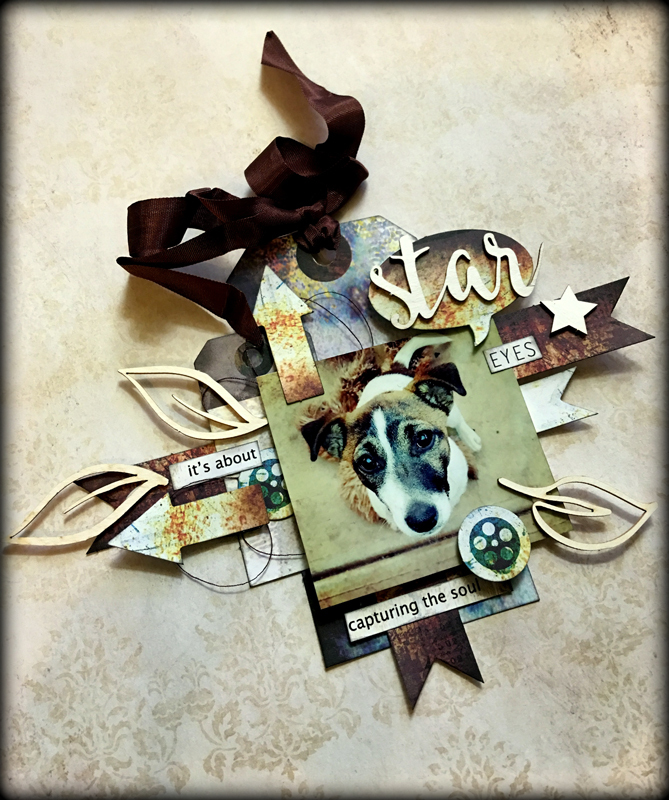 The Winner of the Challenge gets a chance to be a Guest Designer on our blog!! !